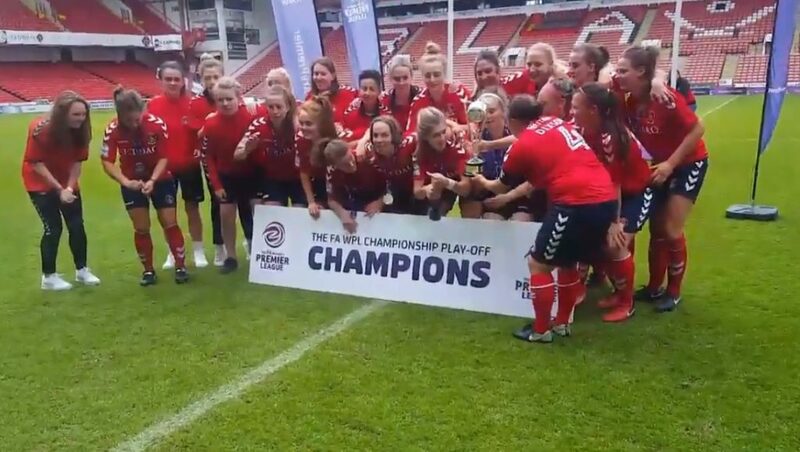 Charlton Athletic secured promotion with a hard-fought 2-1 win over FA WPL rivals Blackburn Rovers in a tight encounter at Bramall Lane. 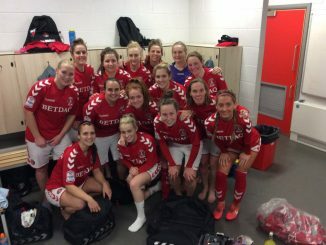 Lynda Shepherd had put the northern champions ahead from the penalty spot inside five minutes but late first half goals from Kit Graham and Georgia Griffin turned the game in Charlton’s favour. A late missed penalty from Charlotte Gurr did nothing to settle the nerves of the promotion hopefuls but Blackburn rarely managed to threaten after the break and couldn’t find the same rhythm of their first half performance. A chaotic first five minutes saw Olivia Lukasewich have a goal disallowed for offside before Blackburn won a penalty after Natasha Flint hit the post from all of 40 yards. The ball rebounded to striker Saffron Jordan who was upended by Sam Pittuck and Shepherd slotted her penalty past Katie Startup. A couple of long range efforts from the lively Flint was the closest Blackburn came to extending their lead before the final five minutes of the half undid all their hard work. A brilliant ball in from Charley Clifford allowed Graham to head home before Nicole Pepper crossed for Griffin to head home in similar fashion in stoppage time. The second half was a tighter and tenser affair and it was Charlton who came closest to extending their lead when Clifford’s effort from distance was brilliantly saved by Danielle Hill. Blackburn’s closest attempt came in freak fashion with five minutes to go. Natasha Fenton’s cross from the right evaded everyone and bounced back off the crossbar to the relief of the FA WPL South side. Charlton themselves had a glorious chance to seal it after Kit Graham was fouled inside the area as the clock hit 90 but Hill denied Charlotte Gurr to ensure the tension continued until the end. In the end it was Charlton who hung on to clinch promotion and likely a spot in the new FA Women’s Championship. Post-match reaction to follow later.